Dr. William Cullen has a broad experience in both reconstructive and cosmetic plastic surgery. His experience assures that his patients receive the benefit of his surgical skills and clinical knowledge. Dr. Cullen is a native of Wisconsin. He lived in Ireland for several years and graduated with a Masters degree from Trinity College Dublin. In 1995 he graduated from the Medical College of Wisconsin with honors. Dr. Cullen completed both General Surgery and Plastic Surgery residencies at the Grand Rapids/Michigan State University program. After completing residency Dr. Cullen continued training with a fellowship in Hand and Microsurgery at the University of Utah. During this time he taught plastic surgery residents and was involved in a mission trip to Latin America. Since his return to Michigan, Dr. Cullen has focused on both reconstructive and cosmetic surgery. He has expanded his practice to include all areas of cosmetic surgery including, breast augmentation, body contouring, liposuction, and cosmetic surgery of the face. He uses the most advanced techniques available. Dr. Cullen is an Assistant Professor in the Department Surgery at Michigan State University’s College of Human Medicine, and Chief of Plastic Surgery with Mercy Health Saint Mary’s Hospital. He is board certified by the American Board of Plastic Surgery and is a Fellow of the American College of Surgeons. 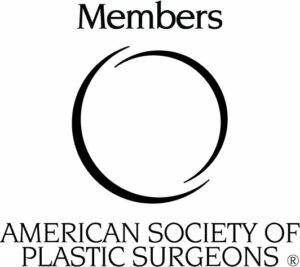 Other professional memberships include; The American Society of Plastic Surgeons, Kent County Medical Society, Michigan Academy of Plastic Surgeons, Michigan State Medical Society, and The Botox Cosmetic Physician Network. He has been selected as one of The Best Doctors in America since 2009. Dr. Cullen has been spotlighted in The Leading Physicians of The World, and has also been selected as one of West Michigan’s Top Doctors, Grand Rapids Magazine.